Advances in Industrial and Labor Relations is a refereed research volume published annually or biannually. Although the series is designed to focus on industrial relations issues, volumes also focus on diverse disciplines, such as economics, law, history, organizational behavior, psychology, and sociology. Changing Union Representation Election Voting Regimes: What Can We Learn?. The Demand for Human Resource Managers: An Occupational Perspective. Examining the Relationship among Part-Time Work Arrangements, Job Satisfaction, and Work Effort: A Study of U.S. College Faculty. Board Independence and Changes in Defined-Benefit Plan Funding. Nose to Tail: Using the Whole Employment Relationship to Link Worker Participation to Operational Performance. Copyright page. 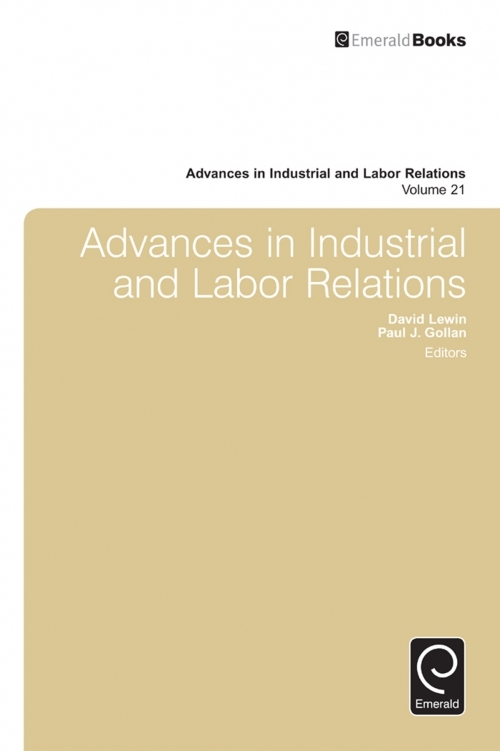 Advances in industrial and labor relations. Advances in industrial and labor relations. 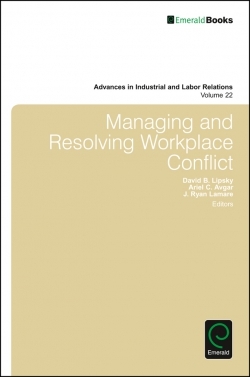 Advances in industrial and labor relations. Introduction. List of Contributors. Union Financial Reporting and Disclosure under the LMRDA: A Comparison of the Bush and Obama Administrations.